We grew up in Florida and our summers were filled with beach walks. Our grandparents lived near the beach and we collected shells every visit. We still love seashells! Pearly colors and swirly shapes. Who could resist? 1. Use the screwdriver to screw the D-hangers to the back of the heart near the top. 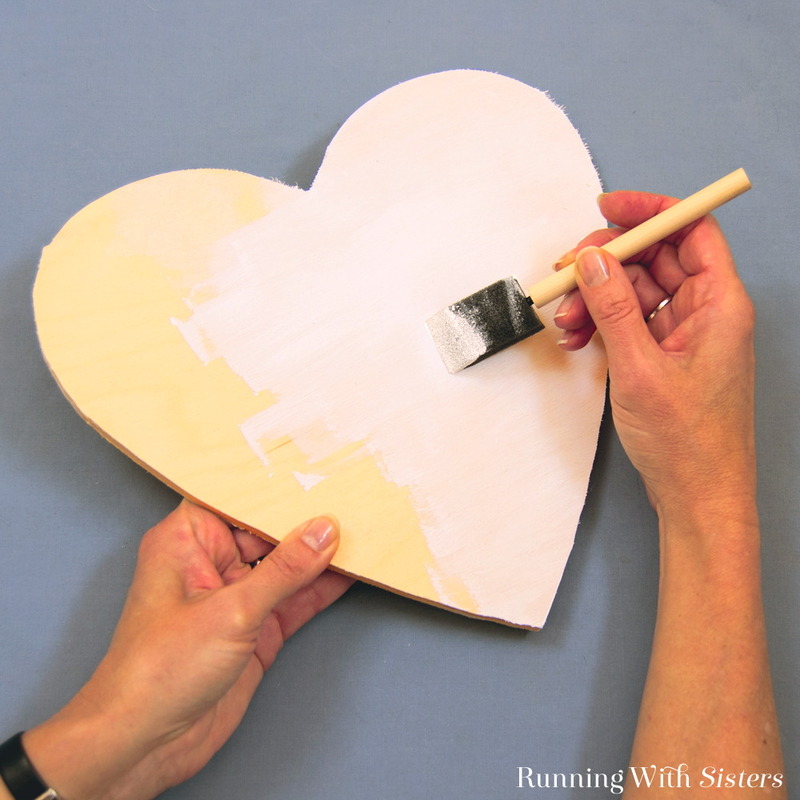 Prime the heart with a coat of gesso. Let dry. Paint the heart with Mother Of Pearl. Let the heart dry. 3. 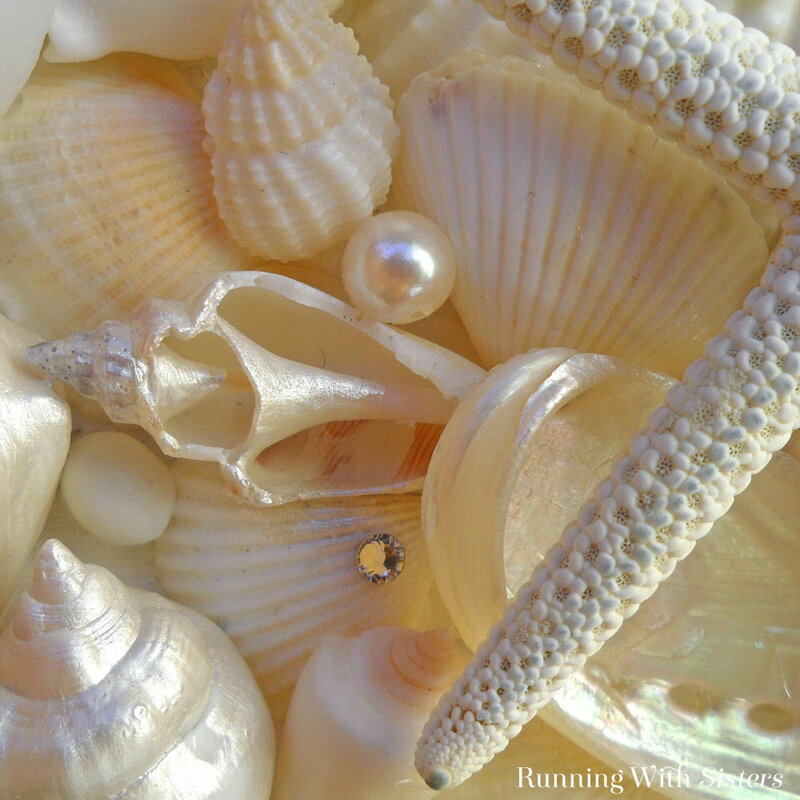 Choose a seashell you have a lot of and glue them around the edge of the heart. We used little conch shells. We painted them all to make the look clean and tidy. To glue a shell to the painted heart, dab the E6000 glue onto the back of the shell and place on the heart. 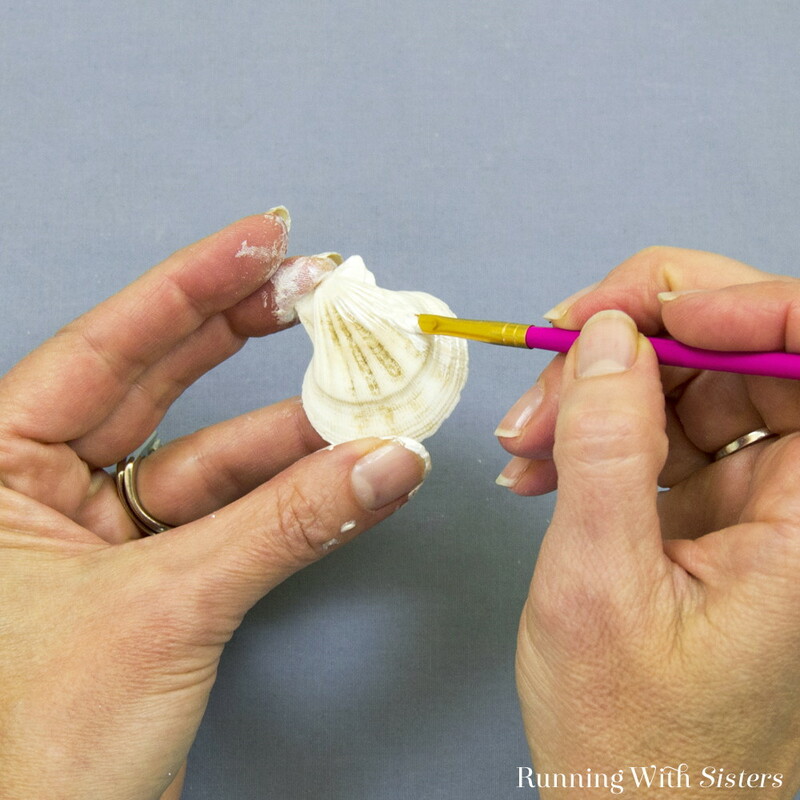 This glue sets up pretty quickly, but you will have time to move the shell into the right spot. Continue gluing the seashells around the edge of the heart. 4. 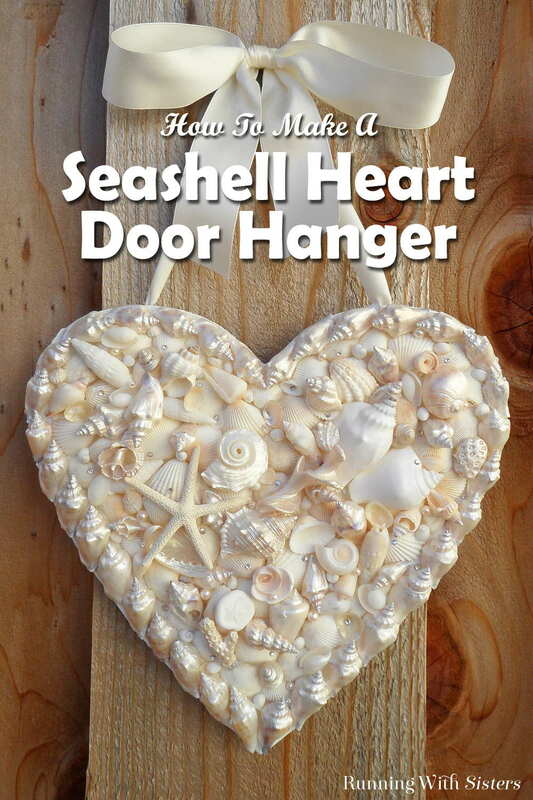 Select your largest seashells and make a few clusters on the face of the heart. Glue the seashells down. Next layer smaller seashells onto the edges of the clusters so the seashells overlap. Don’t worry if you leave some small spaces empty. Continue until the heart is covered with seashells. 5. Fill in small spaces with the smallest shells. If you have little scallops or clamshells, turn a few upside-down and glue them into spaces between shells like little cups. These are fun to glue a tiny pearl into! 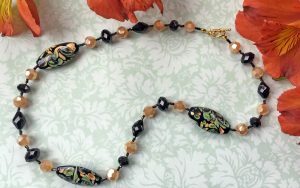 Here’s a video we made to show our favorite tricks and tips for gluing tiny gems and pearls onto shells. 6. 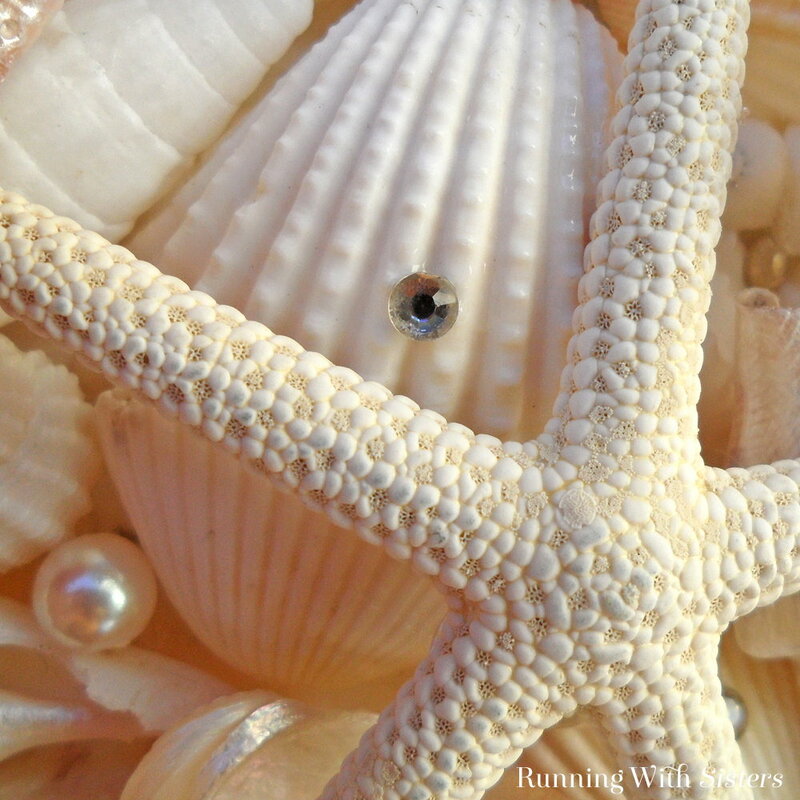 Once all the shells are glued down, glue pearls and rhinestones onto the seashells. 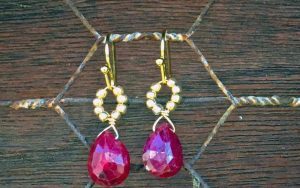 To glue the tiny rhinestones, use tweezers to pick up a rhinestone. Add a small amount of G-S Hypo glue to the back of the rhinestone using the precision applicator. 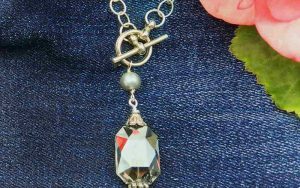 Alternatively, use a toothpick to dab a small amount of E6000 glue to the back of the rhinestone. Then place the rhinestone using the tweezers. 7. Cut the ribbon in half and tie each piece to one of the D-hangers. 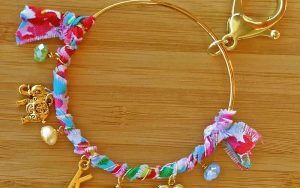 Pull the ribbon up and tie it in a knot, then finish with a loopy bow. Hang and enjoy! 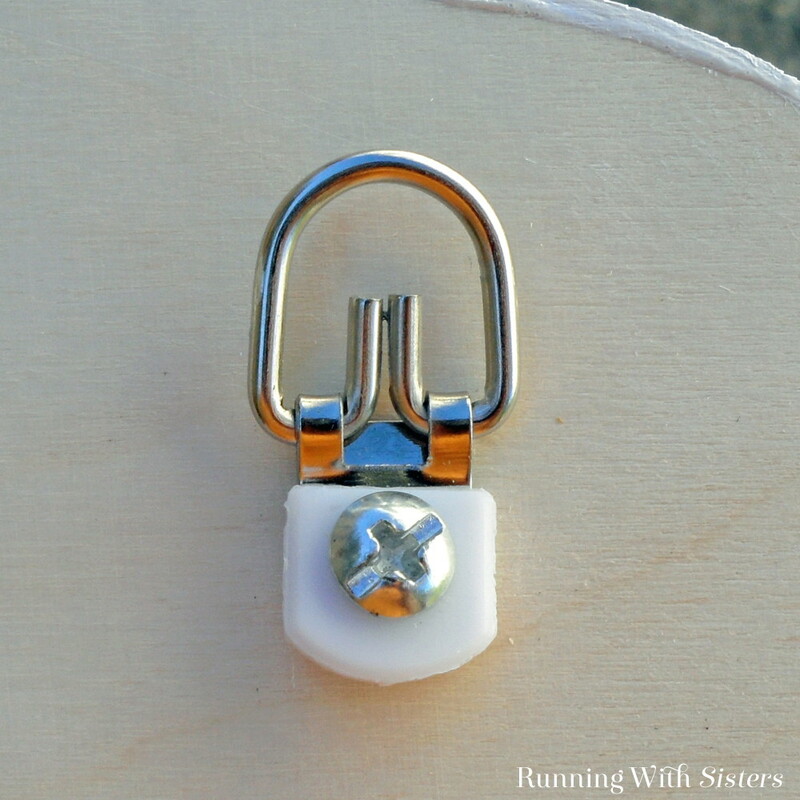 We love crafting with our shells so we made this beachy door hanger. Do you love shells as much as we do? Leave us a comment! 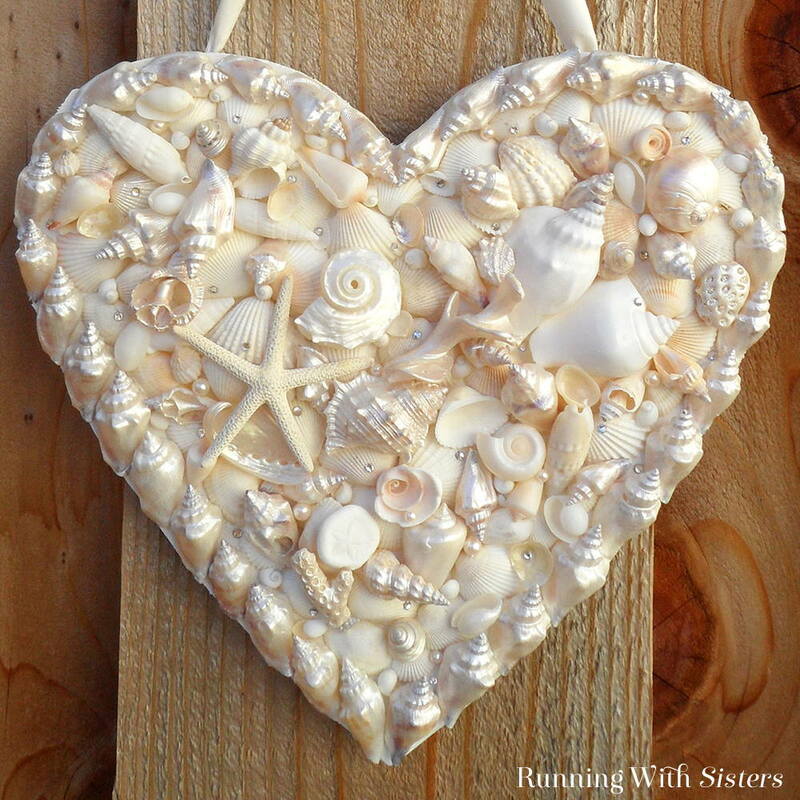 We would love to hear from you and find out what crafts you’ve made with shells! We love getting pinned! Share away! 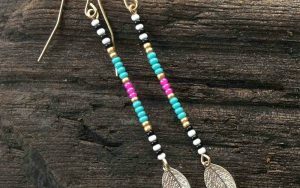 in love with this project and I’m wanting to try it out for sure! So glad you like it, Mary Ellen! We love love love seashells! In fact, we are making seashell candlesticks today! Watch for them on the blog soon. 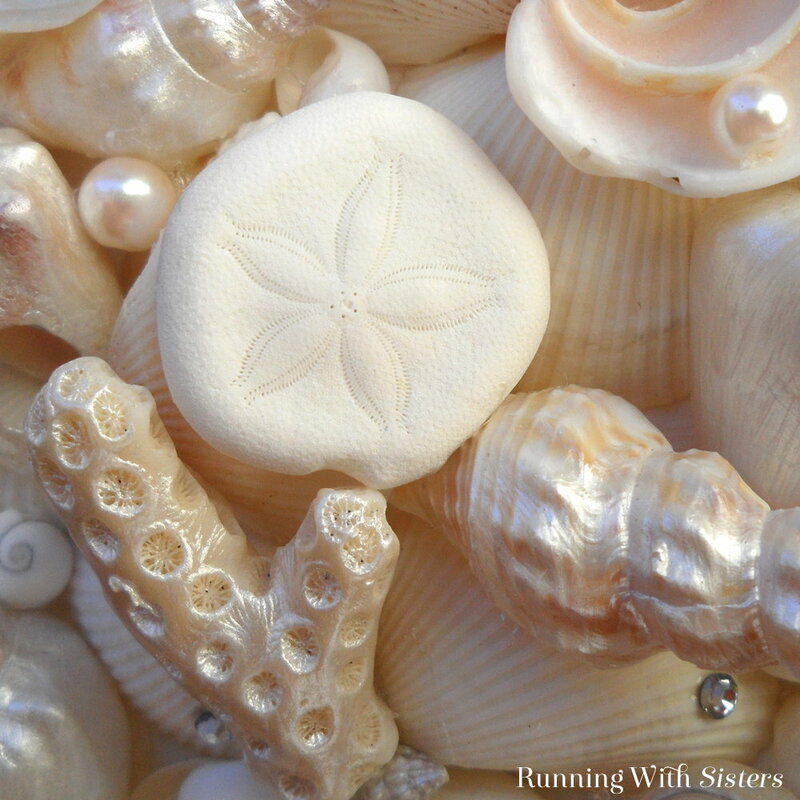 I loved this idea to add to my repertoire of seashell crafts! Thank you. Hi, Love the heart you’ve made! Do you sell them? I got to your site by following a Facebook post on a DIY post about mosaic terra cotta pots. Could you cover a pot with seashells the same way? I can’t wait to try the seashelk coasters and the seashell heart. I also live in Florida and have a ton of shells. Thank you so much for your ideas.